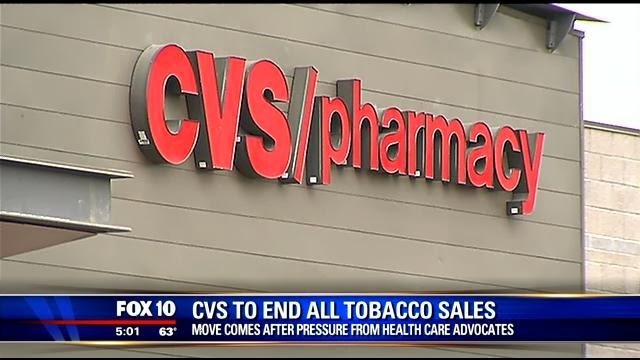 By October 1, 2014, CVS pharmacies around the country are going to stop selling tobacco products. The decision will affect 7,600 of its stores, costing the company $2 billion a year. The company's reason for taking this step is quite simple: wellness and tobacco use do not mix. The company explained that they are in the business of making people well, and selling tobacco products just doesn't seem to make sense. CVS' pharmacy president, Helena Foulkes, further stated, "...it's good for customers and our company, in the long run." As a former smoker, President Obama was pleased with CVS' decision and stated, "As one of the largest retailers and pharmacies in America, CVS Caremark sets a powerful example." Both the President and CVS Caremark hope this will encourage other businesses to follow their example and do the right thing. The decision has been hailed as an investment in a high-growth health area. Under the Affordable Care Act, insurers can charge up to 50 percent more on policies to people who smoke. The ACA also allows discounts by employers of up to 50 percent on monthly insurance premiums for employees who complete programs that will help them quit smoking.